So, a children’s library book on chess later, I am proud to report that I can now actually play chess. There is no danger of my reaching Grand Master status, but I now know how the pieces move, and I can play the game with them. I even won once (I would love to say that was due to my skill, but pure luck gets all the credit). To my surprise, I even find I am enjoying the game! Getting out of one’s comfort zone and trying something new can be good for both the mind and the spirit. 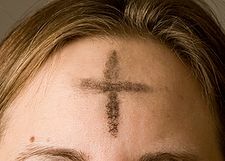 With Lent upon us, it is a good time to think about getting out of your spiritual comfort zone. What is something that you could do this Lent that would stretch your spiritual muscles?